For 2 weeks every year, the Violin Society of America comes to Oberlin College to make cellos and violins. With members from the United States, Europe, Asia, and Australia, this is a premiere violinmaking workshop that allows for members to come and bond over their love of the violin and the craft that goes into it. ≈ Comments Off on Recent article on violinist.com! Who knew that violin makers could be so collegial and cooperative? Sure, they spend long hours alone at the bench, engaged in the solitary and painstaking work of carving a scroll, planing the plates of a fiddle or laying purfling along its curvy perimeter. But when they get together? These people can collaborate! Case in point: Some 50 luthiers worked together to make a copy of the 1704 Betts Stradivari. This spring, their copy, completed in 2011 at Oberlin College, will join the original in the Library of Congress’ historical instrument collection in Washington D.C., thanks to a donation by William and Judy Sloan of Los Angeles. 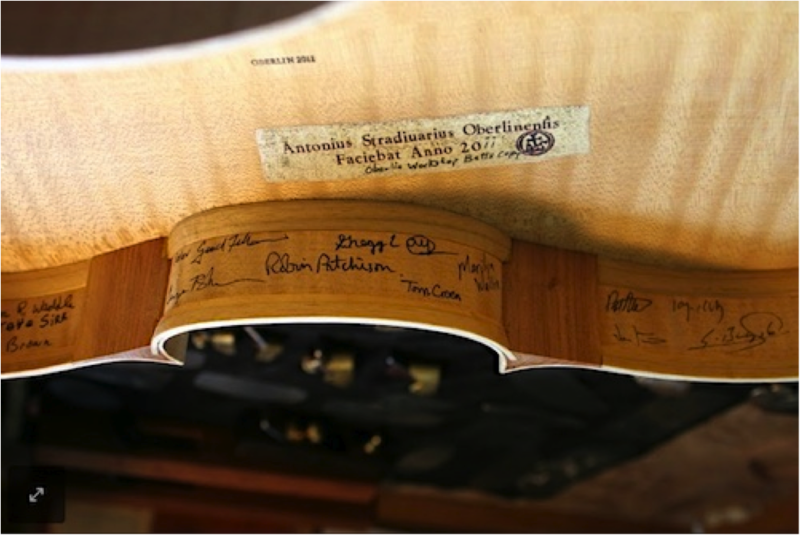 The interior of the 2011 Betts copy, “Stradivarius Oberlinenfis,” is signed along the ribs by some 50 luthiers who made it. How did a group of violin makers — historically known for guarding their secrets, cheating their rivals and working in isolation — undergo such a change in professional culture? It has to do with the Violin Society of America’s (VSA) summer workshop at Oberlin College, an annual event that has attracted violin makers, and more recently, bow makers, from some 50 countries around the world since 1986. Every summer for two weeks, the luthiers work on a special project or theme, which serves as the focus that unites the group on a daily basis. For the last few years, the project has been to replicate the Betts Strad. They also learned that even Stradivari’s work was not completely perfect. “You expected Stradivari was a meticulous craftsman and never made any mistakes, but even Stradivari (made mistakes) — the purfling didn’t always go down to the bottom of the channel, and there were air gaps and glue — you could never see any of this stuff without the aid of technology,” Germain said. Their mission was to use traditional crafts, aided by the most modern technology, and make two instruments: one copy that made major use of modern technology; and another copy using all traditional methods. They used the modern method first to create the now-complete instrument that is being donated to the Library of Congress. Wait, back up, a “what” machine? William and Judy Sloan bought the instrument to donate to the Library of Congress, and the proceeds will go to the Oberlin program, to be used for future projects. ≈ Comments Off on Website Launch! 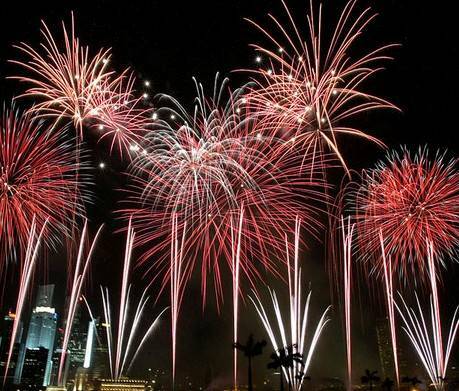 Celebrating the launch of this website, with fireworks! ≈ Comments Off on A trip to Taiwan!